Twenty-five food entrepreneurs make use of the Downtown Market's Incubator Kitchen, and have formed a community within the group. 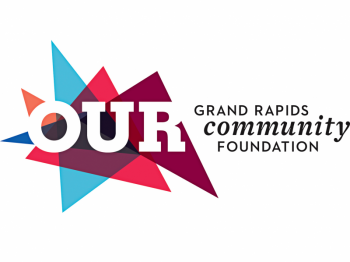 Entrepreneurs and small businesses are redefining West Michigan’s economy. With the rise of venture capital funds, business accelerators and shared workspaces, an entrepreneur can find financing, get advice and have a location to start any business. Local food businesses are emerging as the next big phase of Grand Rapid’s startup ecosystem, and the Downtown Market Incubator Kitchen is helping food businesses get off the ground every single day. The kitchen strives to support the fast-growing community of food entrepreneurs by aiding with the development, growth and collaboration of locally owned, socially and environmentally responsible food enterprises. In addition to being a commercially licensed kitchen space, the Downtown Market’s Incubator Kitchen is also a community of like-minded foodies. It offers a physical space, with professional-grade equipment for food production, packaging, prepping and catering for food entrepreneurs to make their edible goods. The Incubator Kitchen has become more than a physical space: it's grown into a networking group used to pool resources, knowledge and skills and to create some amazing partnerships. When the Market opened in September 2013, the only tenant signed on to use the kitchen was Kent Intermediate School District (KISD), which still rents out the kitchen in the winter months for culinary education. 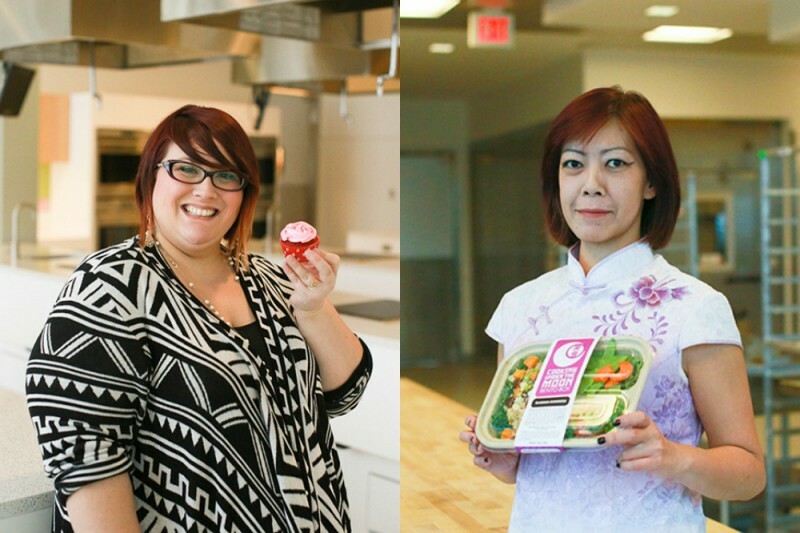 In just one year, the Incubator Kitchen went from four active tenants (in January 2014) to 16 tenants in January 2015. That number has now jumped up to 25. The businesses working out of the Kitchen cover many aspects of the food spectrum, from kombucha to bento boxes to cold-brewed coffee to shortbread. 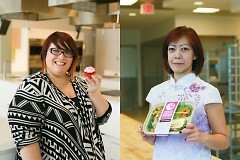 These entrepreneurs range in age from recent college graduates (and dropouts) to retirees, and in background, from lifelong Grand Rapidians to several tenants who speak English as a second language and are using the kitchen to prepare the food they were raised on in their native countries. “The Incubator Kitchen encourages the growth of good food businesses by sharing information, resources, and support; organizing technical and financial assistance; and teaching businesses to balance financial, social and environmental goals, while holding each other accountable to the commitments made to each other and to our community,” says Crystal LeCoy, manager of the Kitchen. LeCoy has worked tirelessly since the kitchen opened to create a welcoming atmosphere where food entrepreneurs can come for workspace or even just advice. She hosts monthly meet-ups, where current tenants can come for coffee and conversation, and those who are interested in using the kitchen can join the discussion for networking and ideas. She even takes interested tenants to networking events, food conferences and trade shows, and works with other area incubator kitchens to refine best practices and share advice. LeCoy’s passion for local foods isn’t just local. A restaurant incubator in NYC recently reached out to Crystal for help. She’s currently working with them to help them get up and running, sharing ideas about managing shared kitchen space and the importance of teaching entrepreneurs how to incorporate the triple bottom line, a measure of sustainability that includes financial, social and environmental performance measures, into restaurant ownership. 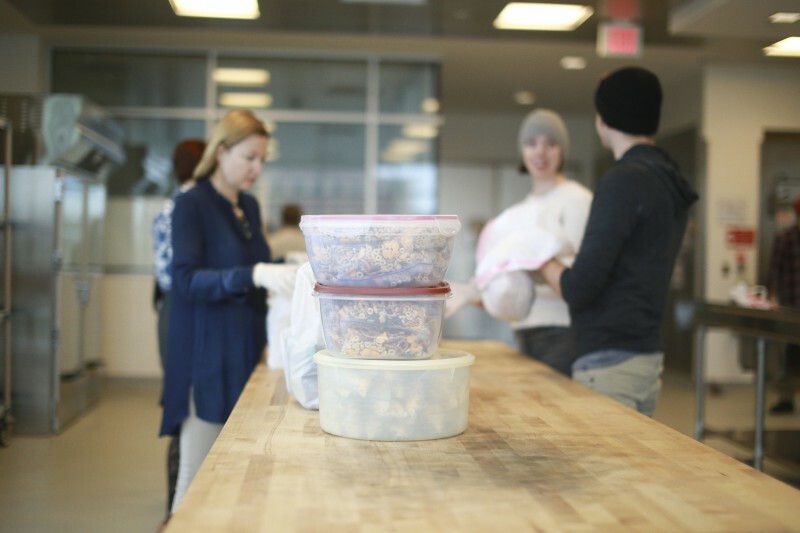 The Incubator Kitchen is a hotbed for partnerships, with tenants from all different backgrounds volunteering their time and energy to help other entrepreneurs with skills and resources. For instance, an accountant offers services to other businesses in exchange for help with branding, marketing, and so on. And the location in the Downtown Market offers tenants an opportunity for their first direct sales and retail outlets, thorough the Market’s outdoor farmers market and Relish Green Grocer. The opportunity to sell products at special events such as the Winter Wonderland holiday open house also opens up partnership opportunities. Wentworth created cold-brewed coffee floats with Love’s Ice Cream last December, which turned out to be a big hit with customers. The kitchen is divided into five sections, which allows businesses to rent out one section at a time, so if they only need to use certain equipment, such as the packaging tables, pastry ovens or catering equipment, they don’t have to rent the whole kitchen. This allows the rental cost per section to be lower, and also means that multiple businesses are often working in the kitchen simultaneously. For more information on the Downtown Market’s Incubator Kitchen, visit our website.